The Finnish NT will be reinforced with Petteri Koponen in the upcoming World Cup windows. 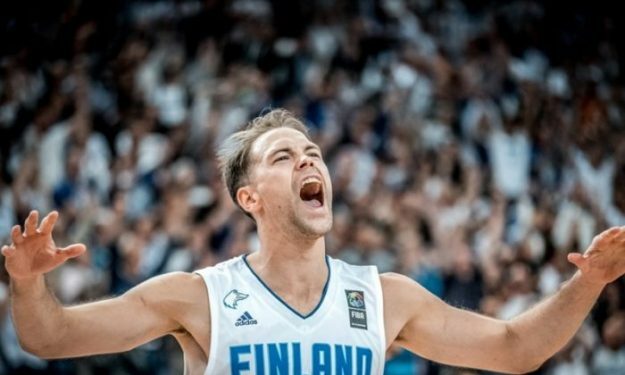 Finland is getting ready to face Russia and Bosnia and Herzegovina in the winter FIBA World Cup windows and the Federation released the roster of players to compete, featuring EuroLeague and EuroCup names. Petteri Koponen, Sasu Salin, Erik Murphy, Fiifi Aidoo, Shawn Huff, Michael Jantunen, Antti Kanervo, Mikko Koivisto, Tuukka Kotti, Carl Lindbom, Alexander Madsen, Alex Murphy, Juho Nenonen, Matti Nuutinen, Topias Palmi, Ilari Seppala, Ville Tahvanainen and Jamar Wilson.